Macs Vinson (left) and Christina Cilento answer a question at a Daily-moderated debate on April 6. Vinson, a McCormick junior, will serve as executive vice president, and Cilento, a SESP junior, will serve as president. Christina Cilento and Macs Vinson narrowly won the Associated Student Government election Friday and will serve as Northwestern’s new president and executive vice president. Cilento, a SESP junior, and Vinson, a McCormick junior, won 47.78 percent of the 4,060 total votes. Cilento and Vinson beat Weinberg junior Joji Syed and Weinberg sophomore Archit Baskaran by 81 votes. Voter turnout far exceeded the 2,991 votes cast in 2015 and 1,758 in 2014. Cilento said both tickets inspired students who had little previous interest in ASG to vote, which explained the close results. Thomas said she predicted it would be a tight race but was not anticipating the narrow margin with which Cilento and Vinson won, adding that the high turnout demonstrated how seriously both tickets took the election. Cilento said finding out she won was “an out-of-body experience,” and that she envisioned larger change for campus. 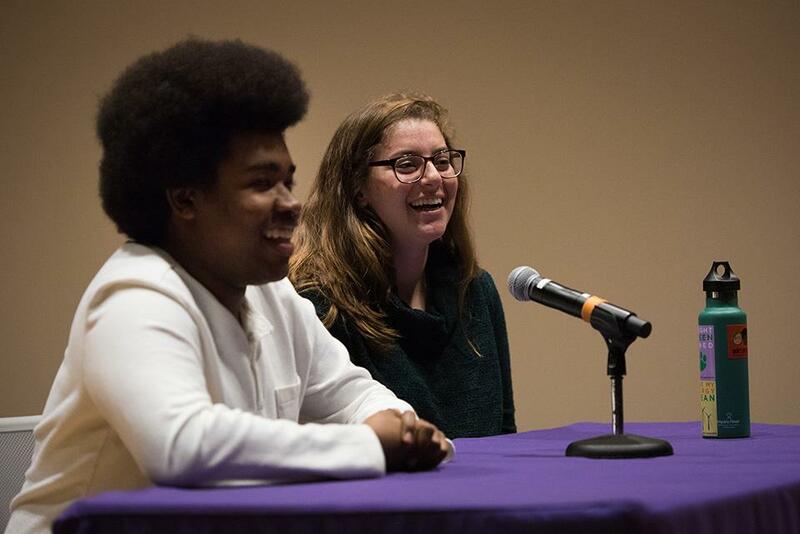 Cilento and Vinson’s campaign focused on improving opportunities and the culture on campus for marginalized students, pushing for widespread reform to make NU welcoming to the entire student body. Cilento said she and Vinson plan to circle back to student groups they met with during their campaign as they set priorities for their term. On the other side, Syed said she enjoyed meeting with students and was proud of the work her campaign team did over the past few months while preparing for the campaign. Syed thanked all of her supporters and said she is excited to see what Cilento and Vinson accomplish. Cilento and Vinson will officially assume their roles after being sworn in at ASG Senate on Wednesday. In addition to the election of a new president and executive vice president, five off-campus senators were elected from six candidates after 1,815 votes were cast. McCormick freshman Aaron Kaplan, Weinberg sophomore Jake Rothstein, Weinberg junior Grant Klein, McCormick junior Natalie Ward and Weinberg junior Alec Blumenthal will also be sworn in Wednesday. This story was updated with results from the off-campus senator election and a photo on Sunday, April 10 at 8:47 p.m.